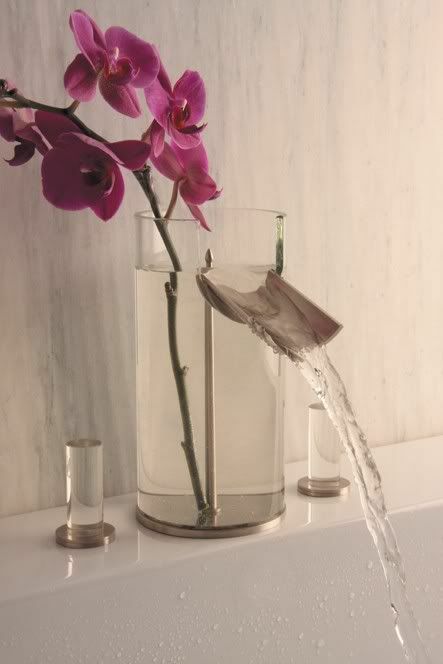 This faucet vase would be the perfect way to brighten up any bathroom. And if you're not into "flowery" things, I'm sure you could add some rocks or something. I'm going to assume that there's a double wall in there and the water that's pouring out isn't actually touching the flower or whatever you're putting in there, too, so nothing to worry about on the clean-side of things.